One of the problems a lot comics run into when they want to discuss racism/homophobia/sexism/whatever is not (necessarily) that the creators are coming from a place of insincerity. But what they frequently run into is that they rely on a single representative to speak for everyone. If you want to discuss race, a Black character gets thrown into the story. If you want to discuss sexual identity, a gay character gets thrown in. It's good that these types of characters are getting some attention in a positive way, but there's an immediate danger of apparent tokenism. 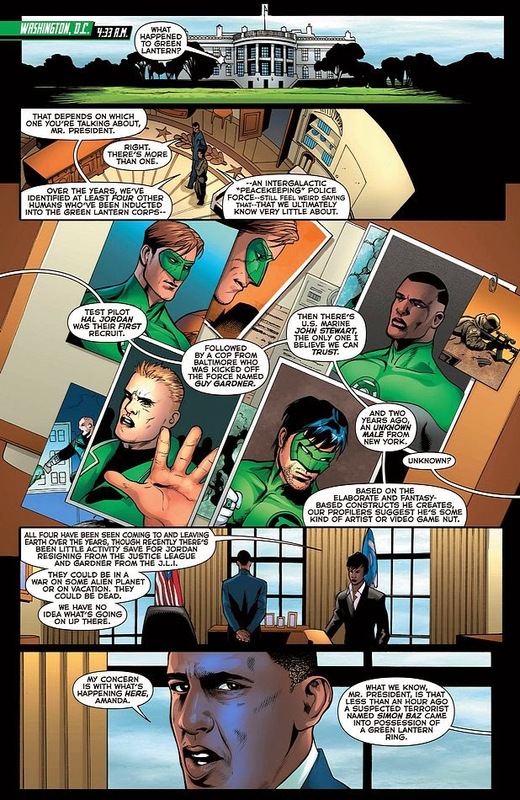 The idea that the character was included specifically because of that one superficial trait, so that readers think the creators are being broad-minded. That might not be the case, but it happens often enough that people are understandable skeptical. This gets particularly problematic when that one issue that the character might be tied to is brought up. Because they are shown as the ONLY representative of the issue at hand, there's an inherent presumption that their views are those of everyone in that group. John Stewart speaks for all Black men. Northstar speaks for all gays. That kind of thing. Everything that character says or does is going to be viewed through that lens, and readers will be naturally critical of that. That's not to say that always happens. Back when I was reading Brian Michael Bendis' New Avengers, I don't recall (and I'm not going to back and double-check this right now) him bringing race up as a specific issue, so Luke Cage was never really given the responsibility of speaking on behalf of all Black men. Even his interracial relationship with Jessica Jones was treated as just another relationship, and there was no real discussion (again, that I recall) about racial relations that might make them a stand-in for all interracial couples. That's a tricky tightrope to walk, especially for an extended period. But there's a much easier way to avoid such concerns. Specifically, add more characters that have that same superficial trait you're concerned about. If it's race, add another Black person; if it's homosexuality, add another gay person; if it's disability, add another disabled person... Obviously, they should step into and work within the story organically, but if it's done well, it can not only alleviate potential concerns about tokenism but also provide additional story paths to follow. The reason this works is two-fold. First, it allows for multiple viewpoints on an issue from those with a similar voice. It's no longer one Black man talking about what it means to grow up with darker skin, and all the white people acting concerned. It's now two Black people telling thematically similar but still different stories about what it means to grow up with darker skin. Think about it. 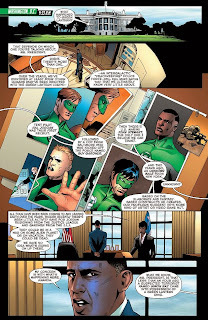 It's one thing when you have John Stewart saying that he feels he has to work twice as hard as Hal Jordan to be given half the level of respect. But if you've got Amanda Waller in the same book saying she had to work twice as hard as Frank Rock, that starts carrying a little weight. The circumstances and backgrounds are very different, but the basic themes are similar, reinforcing one another. At the same time, by having to craft multiple back-stories and slight differences of opinion between the characters, they become inherently more well-rounded. The one Black character no longer sounds like the author just read a Wikipedia article because they're put in contrast with another character with a slightly different perspective. Instead of one flat character, you have two multi-faceted ones. Obviously, just adding another character isn't going to solve all the potential issues a comic might have with racism/homophobia/sexism/whatever, but it's definitely not going to hurt and, in the worst case, the author might be the only person who learns a few things in the process.